The condos in receivership in Vancouver have been increasing, with many in Downtown Vancouver, Vancouver Central, Surrey and Richmond and the receivership sales of these Vancouver condos have worked out quite well, selling out in most developments. 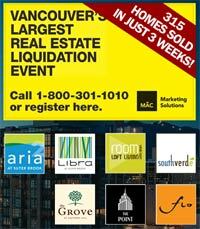 The other issue at hand has been the much publicized Vancouver real estate liquidation event, an auction type sales that has been deployed to get rid of unwanted and unsold inventory. Pre-sale purchasers have cost-effective legal options. Find out more before you walk away. Basically, when a Lower Mainland developer or builder gets into financial problems or other legal actions, a receivership takes over the project. 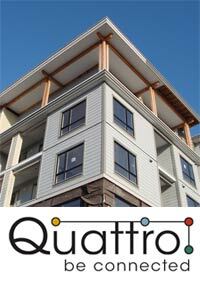 It is determined at that time whether it is economically viable for the condo project to continue to completion. Whether it be a pre-construction Vancouver condo or one that is nearing completion, if the property developer gets into financial problems, the Vancouver condos will be placed in receivership. If there is a go-ahead to sell off the unsold inventory at market value, then the receivership condos will come onto the Vancouver real estate market. If it is determined that the continuation of the construction will not result in a break even or generate revenue, then these receivership condo homes in Vancouver will not go forward. Receivership means that legal action has taken place, the Vancouver condo development will continue with units being sold by a receivership and not the original developer. OVERALL IMPACT: Bad for the homebuyer because most receivership condo cases result in massive delays in the construction and final occupancy. It’s also bad for the developer as they are essentially filing for bankruptcy protection with a receivership company selling and managing their final assets. For a typical new homebuyer in Vancouver, a receivership condo sales can be great as the prices reflect below marketing pricing in most instances. 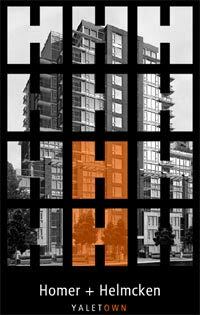 If you think about Yaletown receivership condo projects, H+H Yaletown will definitely come up at the top of the list. As announced on all the major news stations as well as on Vancouver Realty TV, the receivership Homer and Helmcken receivership condominiums in Yaletown Vancouver real estate market made headlines as The Chandler Development Group, once again cited problems with construction financing. The Bowra Group receivership sales started a few months later just prior to the completion of the H+H Yaletown condos for sale and these newly priced receivership condominiums at Home and Helmcken were snatched up quite quickly. A prime location in the heart of Yaletown property market coupled with true urban living and outstanding amenities/features became the focal selling point for the rest of these Yaletown H+H receivership condos for sale. FINAL THOUGHTS: The Homer and Helmcken Yaletown condominium project is now ready for occupancy and most of the receivership condos by the Bowra Group have been pre-sold signaling an end to this fire sale that is a landmark Yaletown condo building in a great location and at a great price. FINAL THOUGHTS: The Uptown New Westminster Amadeo condos are now in receivership sales with only a few number of new units still available through the Bowra Group. 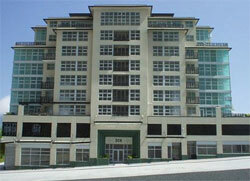 You can contact CondoMob for details about bulk purchases at the receivership Amadeo New West condos for sale. After just having launched their pre-sales, the Chandler Development Group announced the receivership of the Richmond Garden City townhomes citing problems with the increase in labour and material costs during the height of the Richmond real estate market. With increase competition from other builders and too many pre-sale units for sale in Richmond BC, the Chandler Group Richmond Garden City townhomes and townhouses went into receivership by the Bowra group in February 2008. It was deemed by the Bowra Group receivership company that the pre-sale Richmond Garden City townhomes can be completed on schedule and on budget and therefore, sales have continued to sell off the remaining units. 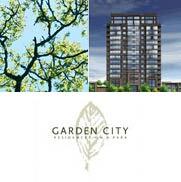 Also involved with this Richmond condo receivership were two high-rise condominiums at Garden City Richmond. They too have been placed on the public market and the Bowra Group hopes to sell all remaining units at basement bargain pricing. FINAL THOUGHTS: A promising Richmond real estate master-planned development came at the wrong time, but luckily, pre-sale homebuyers were able to get Bowra Group receivership townhome deals and incentives in the final release of the Garden City Richmond townhouses. 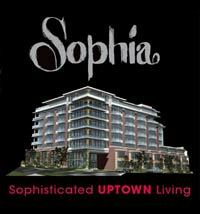 The Sophia Vancouver condo receivership fiasco was the next hit in the Vancouver real estate market, hot on the heals of the Riverbend Coquitlam receivership problems. 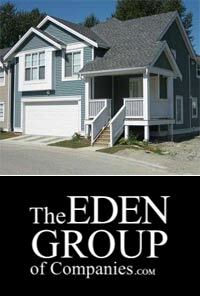 This time, the Eden Group of Companies, a small local developer fell into financing issues and poor pre-sales, leading to the receivership of the Bowra Group taking over final sales and also restructuring some inside sales that were deemed unfair as they were sold at basement bargain pricing, much lower then what the market was asking for at the time of pre-construction sales. The receivership Sophia Condos in Vancouver have gone full circle and only a few remaining completed condominiums are still selling. 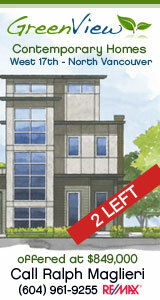 Otherwise, most initial homebuyers at the Vancouver Sophia condos receivership decided to keep their units and see their contracts through, while new homebuyers (many first time purchasers) got into the market and purchased these discounted remaining receivership Sophia Vancouver condos from the Bowra Group. FINAL THOUGHTS: Unattractive marketing, high pricing and not the best location all combined to see the downfall of the Eden Group of Companies who could not seek proper financing for the Sophia receivership Vancouver condo development that will be forgettable once complete. Didn’t know too much about the Coquitlam Riverbend homes for sale as there was not much marketing or advertising going on for this small community of single family homes, but it sure shocked the entire Greater Vancouver real estate market at the time. Basically, the first Coquitlam property development to go into receivership, it started making homebuyers and investors thinking about where their money went into pre-sale homes and also to do their due diligence on builders and developers prior to signing any contract. In addition, the receivership Coquitlam Riverbend home community reminded homebuyers to review the contracts with their lawyers and seek legal advice if they didn’t understand the fine print in the amendments and contracts. FINAL THOUGHTS: The news about Riverbend Coquitlam receivership came as a huge shock for more of the public, homebuyers and prospective purchasers, and since this case, nothing has really been resolved and the number of receivership properties in Vancouver have skyrocketed. Another less popular development that has gone through receivership sales at the Lake Country Willows condominium project in the Okanagan. With seventy eight pre-sale homebuyer waiting for a resolution and really in limbo, the Okanagan Willows in Lake Country development was placed into receivership hands when it was over 75% completed already. The developer, Divergent Environments of Victoria, cited problems with construction financing and growing costs of labour and materials. The receiver for the Willows in Lake Country Okanagan receivership is BDO Dunwoody. Basement bargain prices are offered by Vancouver real estate developers and builders in a ‘liquidation sale’. During this time, the property developer has a large percentage and number of unsold condo inventory and wishes to sell them off below marketing appraised value in most situations. A Vancouver condo liquidation is usually a bulk event, meaning that the real estate developer has a large number of new condo inventory that they need and want to sell as soon as possible. During a condo Vancouver liquidation sale, the units being offered are usually completely new, never lived in condominium residences in Greater Vancouver and have never been closed on by another home buyer. A liquidation condo sale in Vancouver represents great value for home buyers looking for basement bargain prices on new suites. OVERALL IMPACT: Usually involves a few hundred units, a Vancouver liquidation real estate event is one such experience that will dramatically change the landscape of the real estate market. Featuring basement bargain pricing on affordable Vancouver condo suites, a real estate liquidation in Vancouver will skew the sales volume and sales figures for the duration of the sales event. Home buyers wanting completely new and well-built condos can opt for Vancouver receivership condo sales, but buyer beware, as you should still do your due diligence on the actual value of the specific units you’re interested in. It’s a great promotional tool for the developer and marketer too, as when there is a Vancouver condo liquidation real estate event, all homebuyers’ eyes are on them, and no one else. 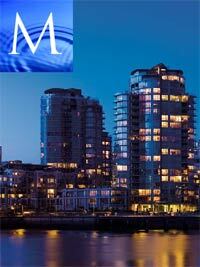 An auction event is where single condos for sale are being offered at an auction to the highest bidder. Although not very common in the Greater Vancouver real estate market, you see more of these condo auctions happening lately for those who want to get the best offer in an incredibly short period of time. Like any other event, the condo auction usually only lasts for a few hours, days or a week until the seller is satisfied with the final tally. A Vancouver condo auction can be set as a private or public event, depending on the seller. OVERALL IMPACT: Because Vancouver condo auctions and real estate auctions can be private or public, many auctions that take place are not even seen or heard of by the public homebuyer. Private auctions for Vancouver condos and homes are more popular then people believe, but in most cases, these inside sales involve luxury mansions and estate homes. For public auctions for Vancouver condo sales, these are more for liquidating unsold inventory usually involving only a few units for sale. A Vancouver condo auction is quite rare and not seen since the last boom. State of the Market Address – Which Vancouver Developers are in Trouble? Greater Vancouver Condo, Townhome and Single Family Home Developments in Doubt – What Does This Mean to the Lower Mainland Home Buyer? And what does this mean to Vancouver Developers in trouble at the moment. From receivership condo auction sales to cancelled and delayed projects and from foreclosures to assignment sales, what does all of this terminology mean to the average Vancouver home buyer and real estate investor? A Lot! For those people who believe that real estate in Vancouver or the Lower Mainland is not a good investment, think again. Although the forecast for Vancouver real estate is negative, there is no better time to purchase property in the Lower Mainland. With inventory coming on the market at record pace in combination with a tightened credit market and Vancouver real estate developers in trouble looking to unload unsold condo inventory, there are great deals to be had throughout the Greater Vancouver real estate market these days. Coupled with great incentives and all-time low fixed or variable rate mortgages, Vancouver home buyers are in a lucky position to take advantage of some of these current deals. Right now, with so many factors weighing against property builders, there are some Vancouver Developers who are in trouble both financially and internally. We will examine those below as well. So what about the real estate terminology?